Quality - DE Technologies, Inc.
At DET, Quality Assurance means more than final inspection of the finished parts for conformance to drawings and specifications. To us, Quality Assurance is a philosophy that encompasses all aspects of our operation. From the approval of vendors, to the certification and testing of incoming materials, to the validation of drawings, tooling, and manufacturing processes, every aspect of our operation is constantly monitored and updated with the goal of eliminating the sources of potential errors before they result in rejected finished parts. In concert with our Total Quality Management philosophy, all of our personnel are trained in the use of Statistical Process Control. Our Quality Control system has been approved by the U.S. Government to be in compliance with MIL-I-45208. 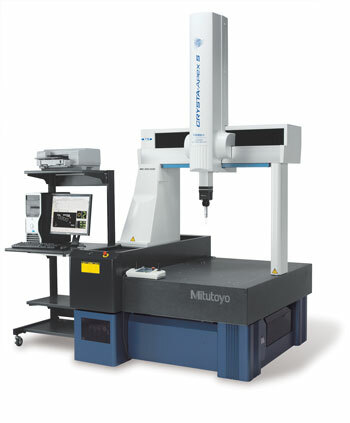 Our Inspection Room is fully equipped, including a Mitutoyo Coordinate Measuring Machine. Our gages and equipment are capable of measuring deviations to 0.0005″. Material Certification and NDT procedures are performed by nearby approved, independent laboratories when required.